If you’re ever doing something and you don’t want it to seem like you’re making a lot of noise, just wait until a thunderstorm to do it. Granted, you might have to wait a while, but this has the added benefit of teaching patience. 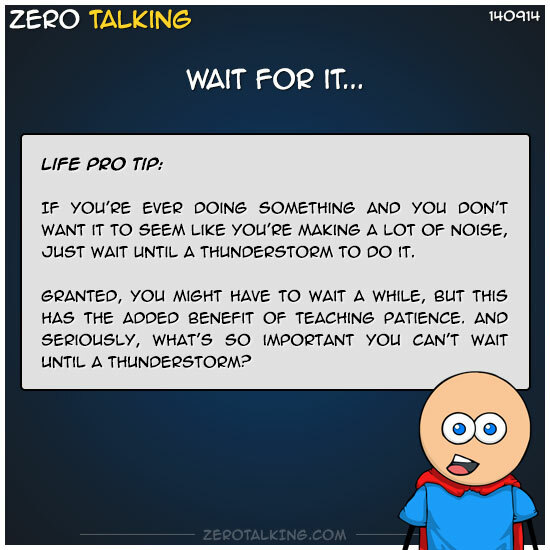 And seriously, what’s so important you can’t wait until a thunderstorm?